Disclosure: This post is NOT sponsored. I think it’s important we talk about milk being it’s Dairy month! Who here feels that breakfast on vacation tastes so much better? I mean come on, think of the last time you went to a tropical paradise. Even the most basic continental breakfast seems like a gourmet meal when you have the palm trees swaying in the wind behind you! 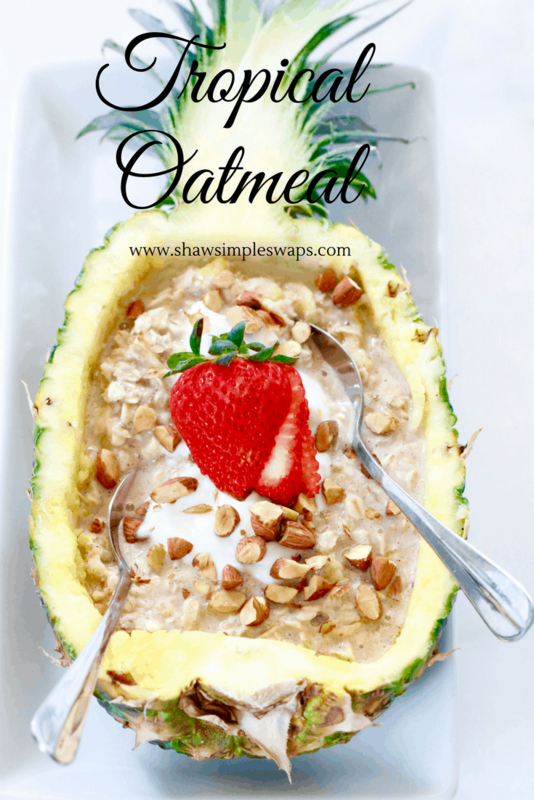 So, in an effort to escape the mundane day to day life I created this fun Tropical Oatmeal to spice up my routine. Though I did receive a few battle wounds from the pineapple carving, I will say it was well worth it when I enjoyed a bite from this beautiful bowl! Now, this post is not sponsored but you’ll see up there in the photo I used a2 milk in this recipe. a2 milk is a client of mine that I am head over heels for, you’ll probably remember it from the S’mores Milkshake here or the Cinnamon Roll Bites here. Nevertheless, when I am wanting to add more calcium, protein, potassium and just good old fashioned cow’s milk to my diet, I bring in the good stuff! Scared you will have tummy troubles? Don’t fret! a2 milk is void of the a1 protein, an inflammatory protein for many individuals found in conventional cows milk that likely has turned you away from the white stuff. If you’re one of those peeps who has been self diagnosed lactose intolerance, this may be the product for you! And nope, a2 milk is not “messing” with their cows! It’s simply like having brown eyes or blue eyes, the cows are born with a1 protein, a1 and a2 protein, or a2 only. Through a small DNA test, farmers can identify those cows that are a2 protein producing protein. 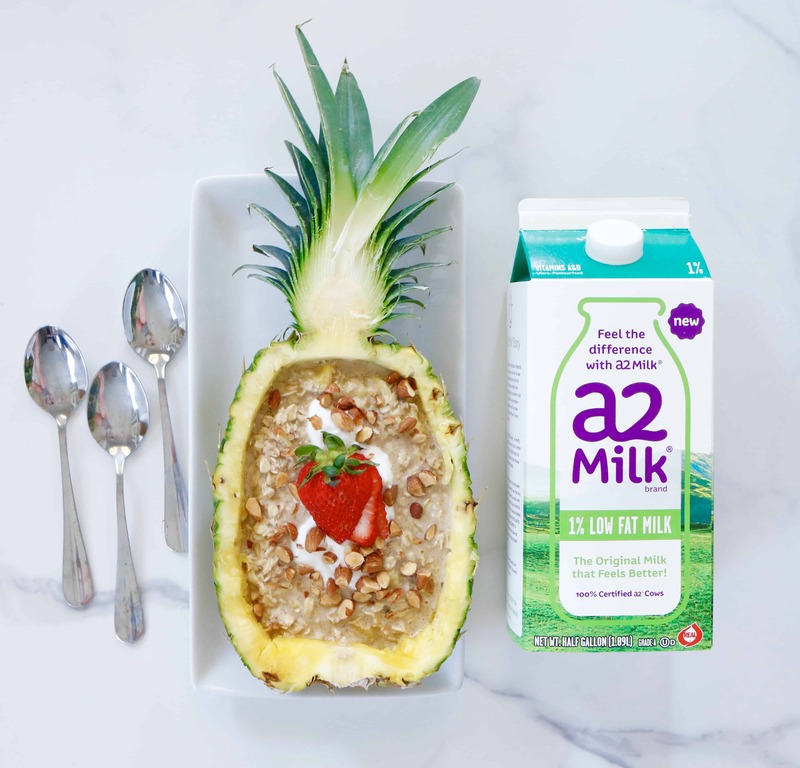 Not only does a2 have over 8 grams of high quality protein in one cup, but when paired with the whole grain oats and chopped almonds in this recipe, the entire oatmeal serving comes in at 18 grams! 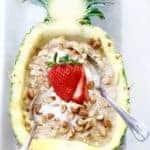 Skip the protein powder this morning and instead escape to the tropics with this beautiful Tropical Oatmeal with me. Deal? Not sure you have the time? 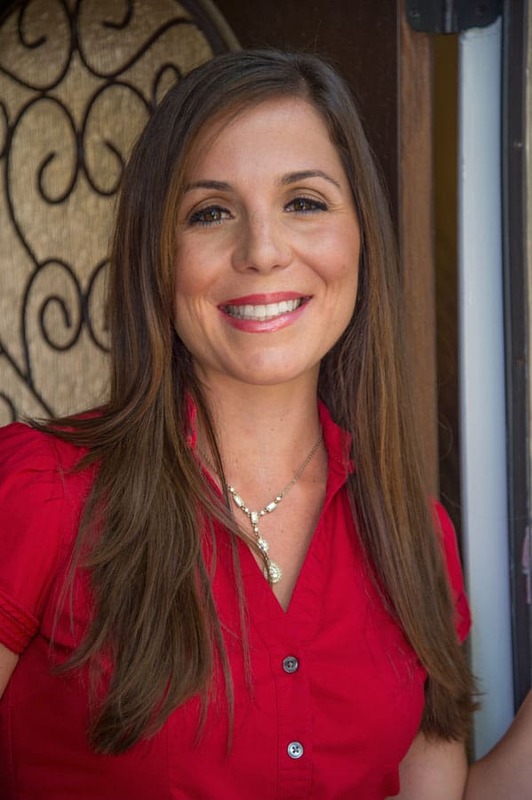 Check out this video— it’s so easy to make and prep ahead for a meal on the go! 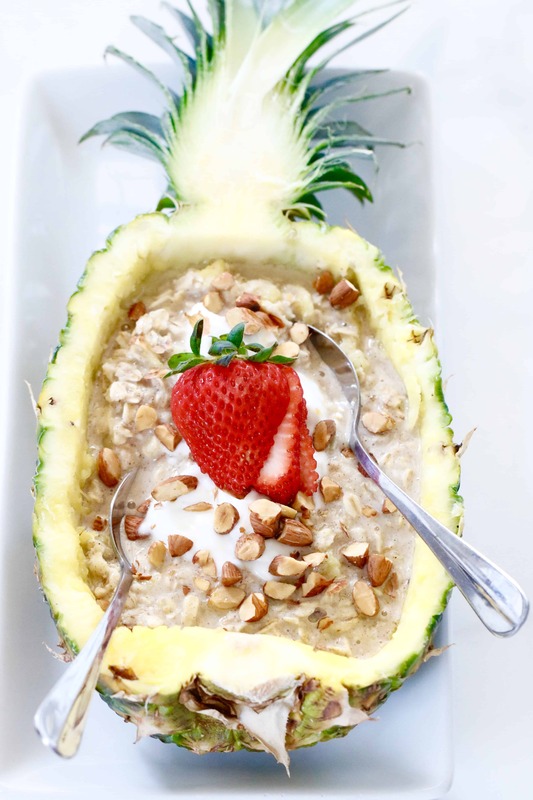 Tropical Oatmeal - An Escape to Paradise! Gluten free, fiber packed and filled with protein! Heat milk over medium heat on the stove. Add in oats and cinnamon, continue to stir 1 minute. Stir in the pineapple and cover for 3 to 5 minutes, until all liquid is absorbed. Remove from heat and serve in your favorite bowl with 1 tablespoon of crushed almonds. Looking for more tropical inspiration? Check out these 30 + Pineapple Recipes or the Pineapple Stir Fry here too! « Science Center – What you need to know! I think you need a glazed pineapple bowl to save the work of pineapple carving for your next tropical morning! … unless you’ve already become a pro at dicing with lightning *but safe* speed! LOL I hope you enjoy Lynn!